The sheer size of Horseshoe Bend is overwhelming. Standing on the very edge of what looked like a 50-60m straight drop had me nervous, but being that close allows for the best view of this brilliant scene. The Colorado River below meanders its way across Arizona and reflects the final light of the day. The beautiful smooth rock formations have a brilliant glow about them just after the sun sets below the distant horizon. 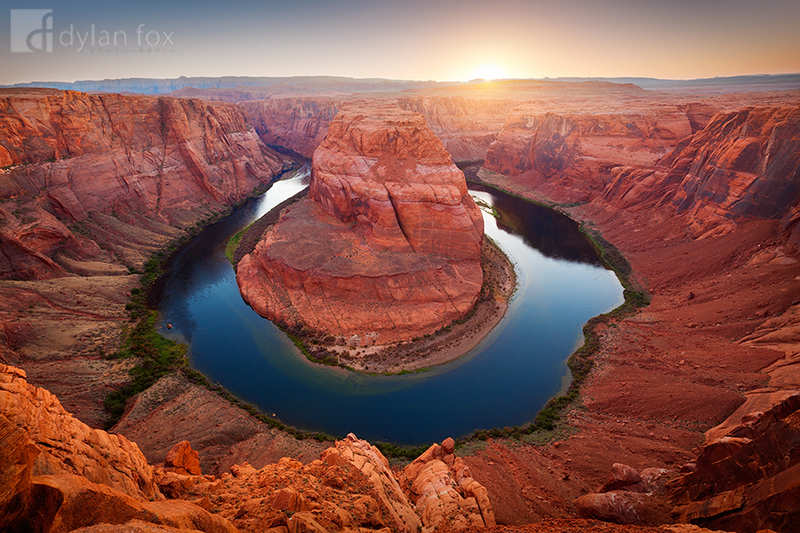 Secure your limited edition, Horseshoe Bend photographic print, 'Horseshoe Bend', by selecting your desired print size in the menu to the right.